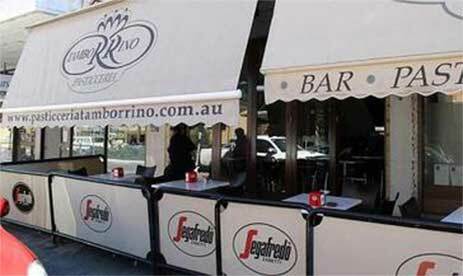 With more than 14 years in the business, Pasticceria Tamborrino is proud to be one of the best restaurants in town. together with the quality services for the customers. 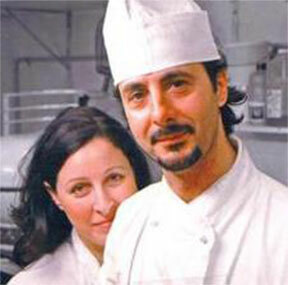 Vincenzo is a Roman-born pastry chef who spent 15 years in his city Rome perfecting his craft and exceptional creations. Pasticceria Tamborrino is a contemporary Italian boutique patisserie with innovative and at the same time traditional Italian-inspired pastries and cakes. Using only the finest ingredients, Pasticceria Tamborrino specialises in the production and sale of a wide range of different flavoured bite-size pastries (MIGNONS), handmade BISCUITS, MACARONS and CAKES, including Semifreddi and Ice-cream cakes. Sixteen years later, the business is blooming and in August 2018 a complete shop renovation has been undertaken. The store offers a great range of light lunches including the famous Veal or Spinach and Ricotta ARANCINI, gourmet Pies and mouthwatering assorted Focaccias. Pasticceria Tamborrino also provides a full coffee service and for an extra indulgence a selection of ice-cream flavours. The boutique style cake shop can accommodate clients that would like to enjoy a nice day out in a comfortable modern setting, both inside and outside the premises. After all these years, we are still committed to the quality of our products and the satisfaction of our customers.